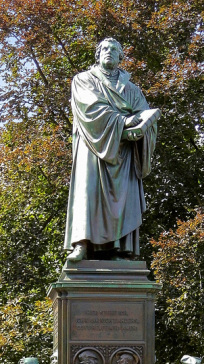 A synopsis of our beliefs at Providence may be found in the five "Sola's" of the Reformation. These doctrines, which were developed during the Protestant Reformation of the 16th and 17th centuries, compose the essential Christian truths regarding life and salvation. Sola Scriptura is the belief that the Bible is the only authority for life and faith. Since God has clearly spoken in His word, then all matters of life are to be guided by this rule alone. To put it another way, this doctrine answers the question, “Who says what goes in life?” When it comes to what we are to believe and how we are to live we are not subject to the dictates of man, be they church leaders or politicians. The ultimate standard by which we live is what God has said in the Scripture. To confess Christ alone is to affirm the exclusivity of Jesus Christ as Savior and Lord. It is to express that no one can bring us unto God except Jesus Christ. In years prior to the Reformation it was taught that men could not have direct communication with God. They needed the church, particularly the priests and clergy, to act as mediators for them. The Reformers came along and said that this contradicted the purpose of Christ's life, death and resurrection. Scripture testifies clearly that "there is only one mediator between God and men." Many in our day say that all religions essentially the same and offer viable means of eternal life. However, this is not so. The Bible makes it clear that salvation is to be found only in Jesus. There is no other name given among men whereby we can be saved. Grace alone combats the notion that we are able to do anything to acquire salvation. We confess that our salvation rests solely upon the unmerited favor of God and nothing else. The depravity of our nature prohibits us from desiring God in the least, let alone being able to do anything that would merit his attention. Being so inclined, it is necessary that God extend his grace to save us and make us willing and able to receive the eternal life that is in Christ. How can a man be right with God? The Bible’s answer is that it is only by trusting in Jesus Christ. Since God accepts nothing less than perfect righteousness, we must seek a righteousness outside of ourselves. When we receive Christ in faith and relinquish all other vain attempts at justifying ourselves, God promises to pardon our sin and bestow upon us all that Christ merited in his life. Since God is All in all and we owe our very being to Him, all things must be done in His name and for His honor alone.